It has recently come to light that certain opponents of the Jamaat are of the view that Hazrat Mirza Ghulam Ahmadas, the Promised Messiah and Imam Mahdi believed in the concept of naskh (abrogation) of verses of the Holy Quran as did early Muslim scholars, but after his demise, the Jamaat declared naskh as improper and against the grandeur of the Quran. To such people it should be made clear that in order to do so, they should firstly produce the text where such words have ever been used by the Promised Messiahas. Non-Ahmadi scholars believe that there are some verses in the Holy Quran that conflict with other verses. Upon seeing contradictions and their inability to reconcile the meanings of verses, such scholars suggest that the verse that was revealed to the Holy Prophetsa earlier should be considered abrogated and the one revealed to him later should be considered its replacement. Non-Ahmadi scholars suggest that the word “ayah” [sign] here means verse of the Quran. In other words, God says here, according to non-Ahmadi scholars, that when a verse of the Quran is abrogated, a better verse is brought forth. No such scholar ever suggests which of two apparently conflicting verses should be considered abrogated and which should be regarded as the replacement. No such scholar ever brings forward a Hadith in which the Holy Prophetsa talked about the abrogation of a particular verse and that nobody should act upon it. All such beliefs are merely views and opinions. Any verse not understood by a Muslim scholar was considered abrogated and whoever understood that particular verse declared it unabrogated. It is for this reason that scholars are not unanimous on the amount of abrogated verses and accordingly, the total abrogated verses range from 5 to 1,100. The founder of the Ahmadiyya Muslim Jamaat, Hazrat Mirza Ghulam Ahmadas proved from two verses that the verses of the Holy Quran cannot conflict with one another. Now, whoever is against contradictions in the Holy Quran cannot possibly believe in naskh – abrogation in the Quran. The concepts of contradictions in the Quran and abrogation therein are both intertwined. In this extract Hazrat Mirza Ghulam Ahmadas has clearly shunned the notion of conflict among Quranic verses and in doing so, his belief in the abrogation of verses becomes an improbability. Here, the Promised Messiahas explicitly says that by calling it “kitaban-mutashabihan” (a book with mutually supporting verses and subjects), God Almighty declares that “there is no contradiction or conflict in it” and that the verses all support one another rather than conflict. If there is no contradiction in the Holy Quran, according to Hazrat Ahmadas, then there can be no abrogation in the Quran. If verses of the Quran have been abrogated, it is necessary for verses to contradict in meaning. 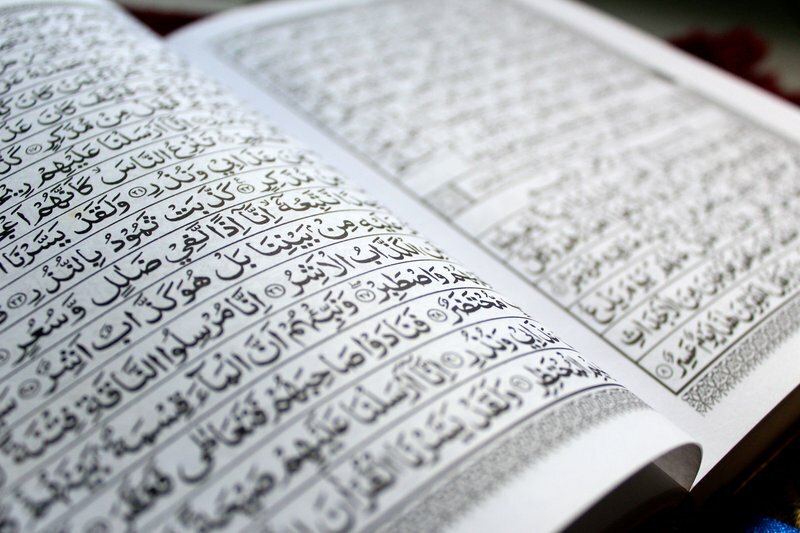 Through these two verses, Hazrat Mirza Ghulam Ahmadas, the Promised Messiah and Imam Mahdi proved that there can be no conflict between verses of the Quran without going against these verses. In light of the above-mentioned stance of the Promised Messiahas, the Ahmadiyya Jamaat rejected the notion of naskh (abrogation) in the Quran. During Hazrat Ahmad’sas life, the Review of Religions (Urdu), which was published under his supervision, published a series of articles against the concept of naskh in 1907.